Matured in 1st fill Bourbon barrels and refill hogsheads. This has some delicate sweetness along with some spicy cinnamon, clove and tobacco notes as well the characteristic smokiness. Types of Barrel used for Aging First fill and refill ex-Bourbon casks. Caol Ila has slowly but surely become easy to get hold of over the last decade thanks to this core e..
An impeccably aged version of Caol Ila. This has similar flavours to the 12 year old with more of..
Another Caol Ila that has been aged to perfection. This is often desribed as being silky smooth, ..
A sweeter, grapier tasting version of Caol Ila that has been finished in Moscatel wine casks. 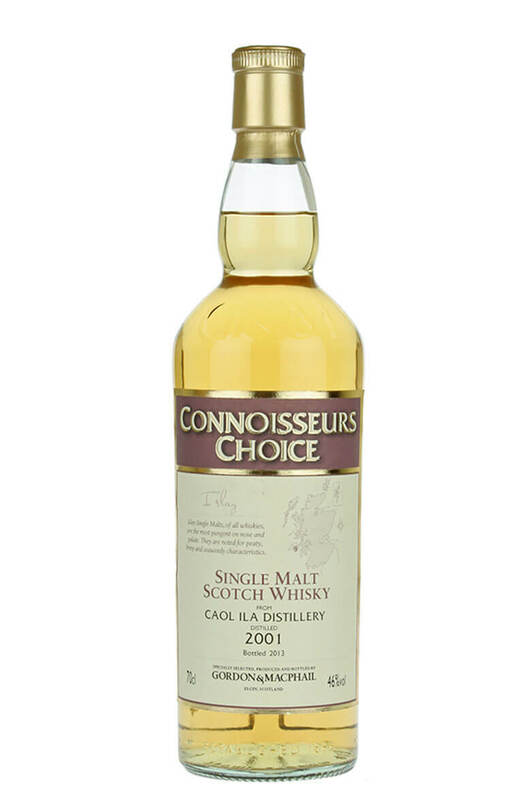 These ..
A rare bottling of Imperial single malt, bottled by independent superstars Gordon and Macphail. I..
Distilled in 2003 this was matured in refill sherry casks before being bottled in 2014 at natural..